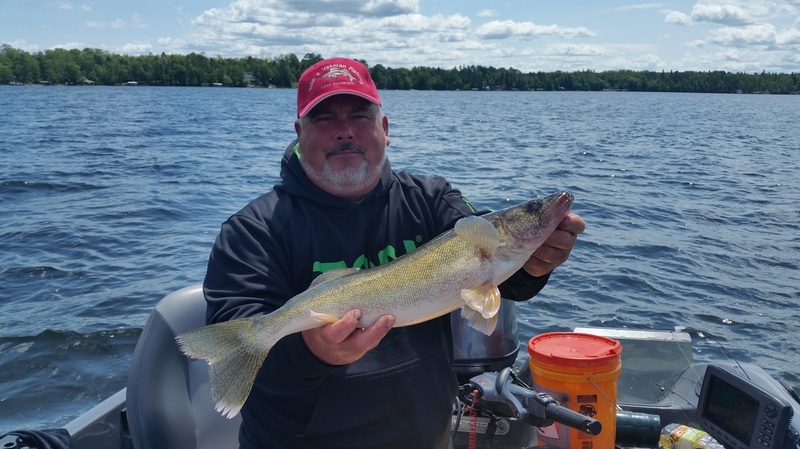 Welcome to Mike's Guide Service on Lake Vermilion! If you're looking for a great fishing experience in Northeastern Minnesota, you've found the right guide for your venture! Fishing is my passion, and I love to share the experience with everyone. I guide exclusively on Lake Vermilion and specialize in walleyes but also enjoy finding the many other species Vermilion has to offer. I have been fishing this awesome lake for 24 years. As a member of the Lake Vermilion Guides League, I have had the privilege of participating in their annual Take A Kid Fishing event, giving area kids a chance to get out on the lake and have a blast catching fish and learning something about this wonderful pastime. I will never get tired of seeing the excitement on a kid's face when he/she gets a fish on! It has also been an honor to guide for the league's annual Take A Vet Fishing day, which was started in 2014 to give recognition to the veterans of war who have served this country. I have participated in the City Glass Walleye Tournament for many years, placing in the top 7 in three of those years. . Whether you are new to the great sport of fishing or an experienced angler, my goal as your fishing guide is to help you catch a lot of fish and create a very memorable experience to take with you! ﻿MIKE SAYS: Now is the time to schedule a guided fishing trip for the 2019 season! Give me a call or fill out the contact form on my CONTACT page. Thanks to all my recent, past and repeat customers for an awesome time of fishing and good memories! I look forward to getting back on the lake with you again in 2019! Oh, and if you don't get me on the phone right away, it's because I'm on the "other line!"